Home » Living » Mine came out through the sunroof! 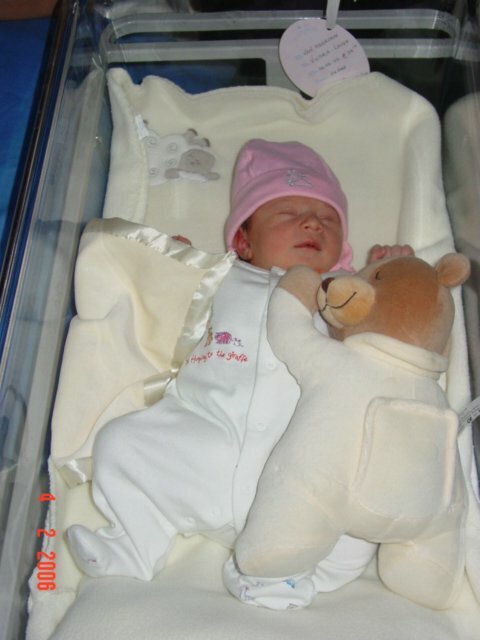 My first birth experience was an emergency caesarean section. I had woken early in the morning to discover my waters had broken, but rather than being clear (like water)it was murky. I decided to have it checked out. I was not yet experiencing any labour pains, thankfully. Upon arrival at the hospital they hooked me up to fetal heart monitor and and concluded that my baby had decided not to wait to take her first poop, but had done so while in the womb. Because of the presence of meconium in the water, they advised me to start induction in case of infection to both baby and me. I was put on a drip and and still the fetal heart monitor strapped to my belly. This meant I was unable to walk around or do any of the things I had read about doing to help during labour. It took ages to get started and even when the contractions started, I could barely feel anything. The midwife was telling me when I was contracting! After 12 hours, and nearly full dilation, but still no proper labour pains- just a whole lot of discomfort, they decided I needed rest and administered a epidural. I fell asleep for a couple of hours. I was woken for a check up and it was decided it was time to push. Of course now I could not feel a thing and was totally reliant on the midwife telling me when to push. I pushed but nothing happened…eventually they called in the doctor who informed me that baby was lying back to back and was getting stuck on the way out. Apparently she could see the head . In order to help the process, she advised a ventouse. I remember seeing the doctor pulling (really hard, I thought) and the ventouse coming off and her nearly falling backwards. I was exhausted and unfortunately was now on my 6th midwife of the day. So I felt like no one had sympathy for me. I felt like everyone, especially the doctor was incredibly rude.She even said to me when I showed obvious frustration: You’re not the first woman to give birth you know! I honestly felt like kicking her in the head while she was down that end, but due to the epidural, couldn’t really do anything with my useless legs and I figured I may need her regardless of her less than stellar bedside manner. By now I was throwing up every few minutes as we discovered the epidural has a negative effect on my blood pressure causing me to vomit. Hubby positioned himself near my head with those silly little cardboard bowls ready. It was early morning now and a group of students came in and breezily asked me if they could watch. I don’t even remember answering..At that point I didn’t care a stitch if they televised it. By now we were at the 24 hour mark and I was asked to sign the forms allowing a C-section procedure to take place should it be required. Another surreal situation. There I was, legs all akimbo, and a male (guessing nurse?) came to tell me what was on the papers he was handing me. He had a thick foreign accent which I could not make out in the chaos. When I asked him if all he had said was what was in the papers, he looked confused and just started repeating what he had said before whilst holding out the papers and a pen. Eventually my hubby seeing my state, took the papers and signed them for me. There goes my birth plan…by now I was crying. Within about 45 minutes I was in the operating theatre. Hubby stayed out..So I was alone with 12 strangers milling about me. Because of all the drama of pooping in my womb, the failed pushing and ventouse, baby came out stressed and was whisked away straight from my belly. I did not see her or know her gender. When I heard her cry as she was being taken away for a pediatrician to check over I called out…what did I have and someone called back. It’s a girl. She spent 45 minutes out with the pediatrician and my hubby while I was being stitched up again. I’m told that the check up was all of 10 minutes and the rest was getting her cleaned up, dressed and my hubby getting in a cuddle. I felt robbed and angry and upset and helpless. I wanted to hold her! Eventually I got to hold her as I was wheeled from the operating room. What a moment. I’ll never forget it. Forever etched on my mind. I was still vomiting from the effects of the spinal block and epidural as they wheeled me along on the bed, but I had my baby and she was perfect! We spent a further 5 days in hospital recovering. Not sure why so long as neither of us had any ill effects from the meconium and I was managing the c-section recovery well. Once I had returned home, a sense of failure set in. I was gutted that I could not give vaginal birth. I felt like I had failed at one of the most basic functions of the female body. I went on to have two more babies. I tried for a VBAC (Vaginal Birth after Caesarean) with baby number 2, but after 23 hours it again ended in a c section as I had failed to fully dilate. They told me when they operated that the enormous amount of internal scar tissue from the first c-section had actually prevented any hope of a successful vaginal delivery. The path was quite literally blocked! I wish they could have picked that up on the sonogram. It was during this birth that we discovered a rather more severe reaction to epidurals during this birth as I quite literally passed out and almost fell from the bed. Luckily hubby was there to catch me. I woke to find a room full of people staring at me, where there had been only 2 when I passed out. Hubby tells me the midwife had hit the red emergency button and people had descended on the room within in moments. I again had a full house in the theatre with me..16 people to be exact, again including a gaggle of students. This time my precious new baby boy was handed straight to me for a cuddle. 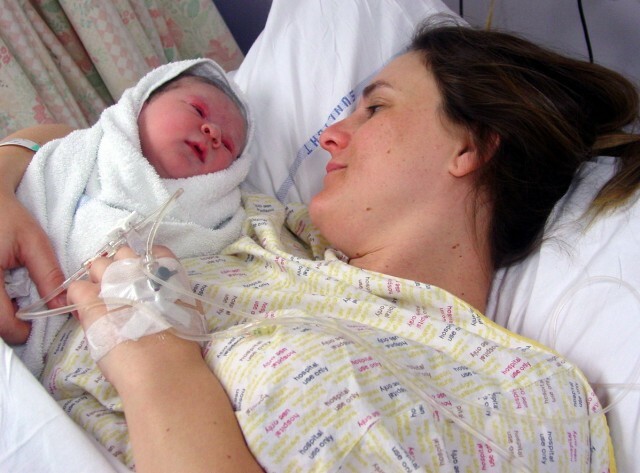 My third was a planned c-section from the start and was a far more civilised experience. Although planned for, my youngest decided he wanted to come out earlier. I went into labour over the weekend (was due for the c section on Wednesday) and took myself off to hospital the Sunday night because I was in so much pain. I was told it was not full labour and was given codeine and sent back home. I didn’t sleep all night long from the pains-even on codeine- and went to my local GP first thing the Monday morning. She took one look, did a check, said you are in full labour and called the hospital. She told me to go straight there. By 12pm I was prepped and in theatre. I convinced my hubby to come into the theatre with me this time as I was scared. We warned the anesthetist that I reacted badly to a the spinal block and he tried his best to stablise it by asking me to tell him whenever I felt sick. He managed to manipulate the flow of the drip for most of the procedure, but I again blacked out and needed resucitating. Hubby was whisked away and when I came too, I asked for him. They told me he was in the next room so I shouted out “I’m OK” and they allowed him back in much to his and my relief. My baby boy eventually made his appearance, screaming the place down, and I was able to hold him straight away. I felt truly blessed. *Apparently blacking out like I do, is extremely rare and none of he doctors could explain properly why I reacted like I did. The anesthetist even visited me a few time after my youngest’s birth to ask me questions and invited me to participate in a study. We still don’t have any answers. While operating , the surgeon told me that is was highly inadvisable for me to even contemplate another pregnancy. That she was not sure how I had carried my youngest to term as the womb was “paper thin” and the scarring from the first two c sections was severe. She spent nearly an hour tidying up before finally stitching me up. 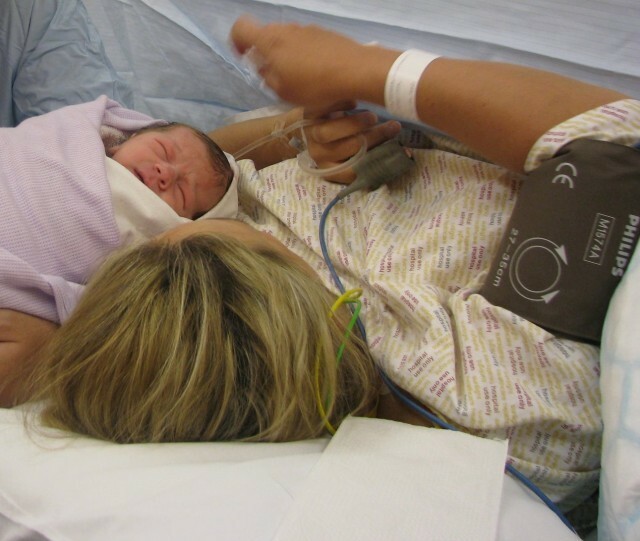 Friends who gave birth around the same time shared their stories of how their babies popped out and how they’d better be at the hospital sooner next time in case the baby fell out too quickly…Or how they got to go home the same day with their baby. I gushed at how lucky they are…but inside I felt like they were boasting and diminishing my baby’s birth because I “cheated”. They don’t know that because of the repeated C-sections, I was advised to have no more children-the state the surgery has left my womb in could apparently be too dangerous for both another baby and me. They don’t know what it is like to have that choice taken away. They don’t understand what it is like to not be able to sit up after you’ve given birth to cradle your newborn, they don’t know that coughing or sneezing feels like your belly will burst and like you’ve done a zillion situps. They don’t know that I almost died from a bad reaction to the anesthetic with the 2nd and 3rd c-section. My scars are fading, but the memory is fresh. I would love to have given birth the natural way. But it was not meant to be for me…and at the end of it, I have three beautiful children…and have earned my mommy stripes; even if some think I cheated!